OTTAWA - Prime Minister Justin Trudeau is calling on Canadians to put the values he says unite the country -- openness, compassion, equality and inclusion -- into practice heading into the new year. 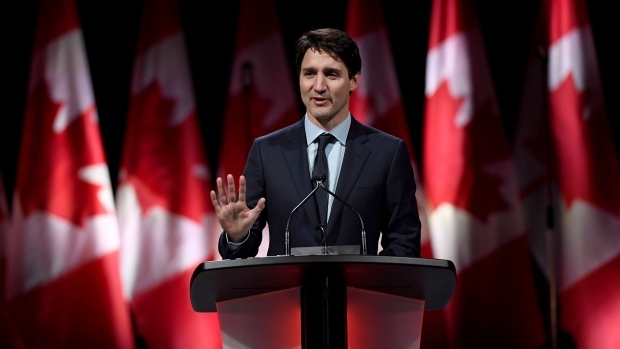 In a New Year's statement released Sunday, Trudeau says the 150th anniversary of Confederation in 2017 celebrated how people of different backgrounds, origins, cultures, and faiths came together to make Canada the country it is today. But he says it was also a chance to reflect on the moments when Canada has not lived up to its ideals. Trudeau says Indigenous Peoples, and many Canadians, have faced prejudice and oppression and the country must continue to work to right those wrongs in the years ahead. He says his government made progress in 2017 on issues such as creating new opportunities for young people and advancing reconciliation with Indigenous Peoples, but notes there is still a lot of work to do in 2018. Trudeau says every Canadian should have a "real and fair" shot at success.